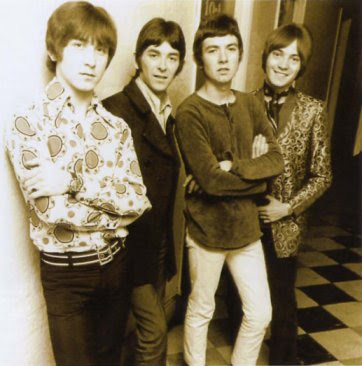 In the pantheon of the original sixties mods only The Who stands taller than the Small Faces, and it is arguable that, above and beyond all other sixties groups, the Small Faces are actually the kings of mod. It wouldn't surprise me to look up mod in a dictionary and see a picture of Small Faces and a list of their best their songs used to represent what mod is. The Small Faces played a hard driven sort of rythym and blues rock and roll, all with tinges of soul and blues throughout. They had the power chord guitars of other sixties rock gods, but they also had a sort of soul that try as they might none of the other bands, not even The Who, were ever able to match. Most of that was in large part to the big, bold, bluesy voice of frontman and guitarist Steve Marriott. Marriott's voice was one of a kind. The kind that can only be understood when you're hearing it; words don't do it justice. Marriott wore his emotion on his vocal chords. His voice dripped with a honeyed sort of sound that could be both sweet and bitter, both sharp and soft. Marriott was backed by one of the most accomplished bands that the British invasion had ever seen from the bass licks of Ronnie Lane to the frenzified drumming of Kenny Jones, to the swirling, psychadelic sounds of Ian McLagan's keyboards. As good as the band was, it was still Marriott's voice that propelled them to the heights of the British music scene. Small Faces took the British invasion R&B sound and highlighted it over the power pop of bands like The Who and The Kinks. They emphasized the blues, and incorporated a very soulful, sort of delta blues style into their early works. Marriott's voice suited such a style, and the band was able to produce a number of critically acclaimed songs that did well in British charts, but were virtually unknown in the US. Songs such as "Whatcha Gonna Do About It", "Sha-La-La-La-Lee" and the UK #1 hit "All Or Nothing". And that was just off of their debut album. From 1967 to 1969 the band changed labels, had fights with their producers and business minders, and still managed to produce some mind-bendingly fantastic music. Their sound ran the gamut from the soul laden R&B of their earliest work, to poppy psychadelia, to down and dirty freakbeat. Through it all is the blue-eyed soul of Marriott's voice, some of the era's best drumming courtesy of Jones, and a superbly honed and polished late-sixties sound from Lane and McLagan. While they didn't tear up the charts in the UK (and other than the achingly poppy psychadelia of "Itchycoo Park" never made a run at the US charts) they did produce a catalog of some of the sixties best music. 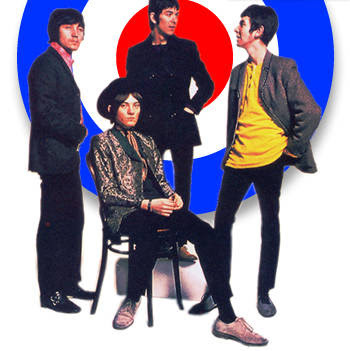 Songs like "Tin Soldier", "Don't Burst My Bubble","Understanding", and "Get Yourself Together", became the foundation of the mod sound of the sixties. Eschewing the crashing, crunching, almost threatening guitar assualts of The Who's power chords, Small Faces instead opted for a an intense type of soul music that went beyond the dancefloor and invoked a sort of non-violent aggression. They originally lasted only four short years (never mind a short attempt in the late seventies at reuniting -- with less than sucessful results), and yet have impacted as many decades of music. The bands of the first mod revival in the late 70s and early 80s mined the Small Faces' catalog, never able to do the songs justice. 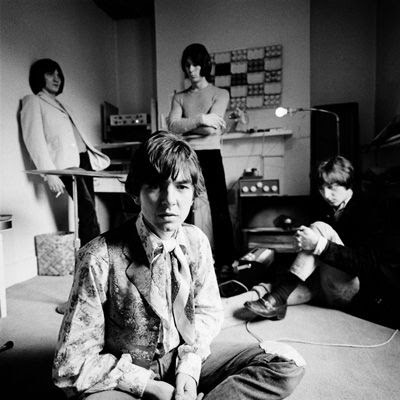 The Britpop scene of the 90s fared better, as many of the bands invoked the Small Faces as their biggest influence rather than trying to parrott their sound. The effects were most vivid with that era's two biggest groups Blur and Oasis, both showing signs of having studied and absorbed the Small Faces best points.